Hudson Yards is apparently close to locking down yet another big-name tenant. 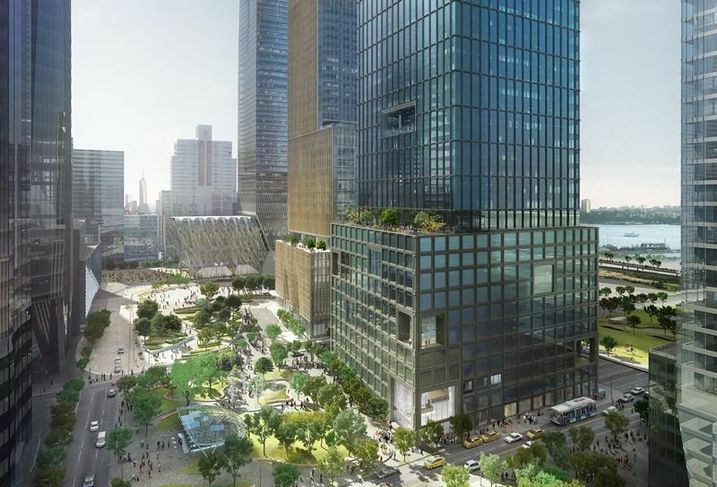 Apple is talking about leasing 60K SF at 55 Hudson Yards, the New York Post reports. The deal isn’t signed, but the company is in late-stage talks for the lease. What’s more, Apple may also take a “large” retail space somewhere in Hudson Yards. Apple signed a 45K SF office lease on Fifth Avenue near Union Square in 2011, although it’s unclear whether this new deal would be a relocation or offices for a new division. Cupertino, Calif.-based tech giant Apple has unveiled its latest retail space along the located on the corner of Champs-Élysées and Rue Washington in Paris. Crafted by frequent collaborators Foster + Partners the store has been built as a “quintessential Parisian apartment”. The store is designed to carefully blend the surviving original detailing with new contemporary and light-filled interiors. 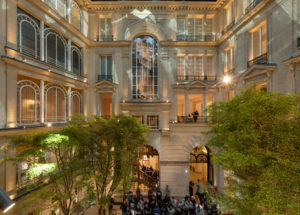 Accessible via a 19th-century passage, the store welcomes visitors into a revitalized courtyard that includes large, mature trees beneath a kaleidoscope solar roof-light crafted with mirrored pyramids. 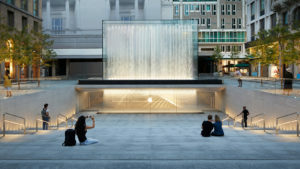 Apple premiered Apple Piazza Liberty, a new retail location that will revitalize a piazza in the center of Milan. The project, which includes both a grand public plaza and a store below, brings Apple’s latest retail design to Italy for the first time. Apple Piazza Liberty opens Thursday, July 26, at 5 pm. Cupertino, Calif.-based technology giant Apple has revealed its newest retail unit in Macau, China. 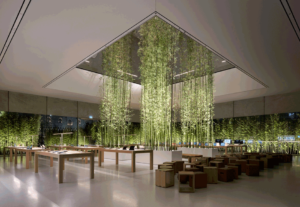 Designed by Sir Jonathan Ive, Apple’s chief design officer, and frequent collaborator Foster + Partners, the new cubic volume welcomes visitors via an external plaza and bamboo grove to express a theme of tranquility.